Teachers at the San Francisco Day School were fed up with the state of their classrooms. Minimal storage and excess clutter created an environment that made it hard for teachers to teach and students to learn. So during a recent renovation, the school turned to Flow Wall for a solution. The final result was better than anything they could have hoped for. Prior to the renovation, many of the San Francisco Day School’s rooms lacked organization and order. Open shelving units displayed an array of study materials, crafts, papers, boxes and various other clutter. 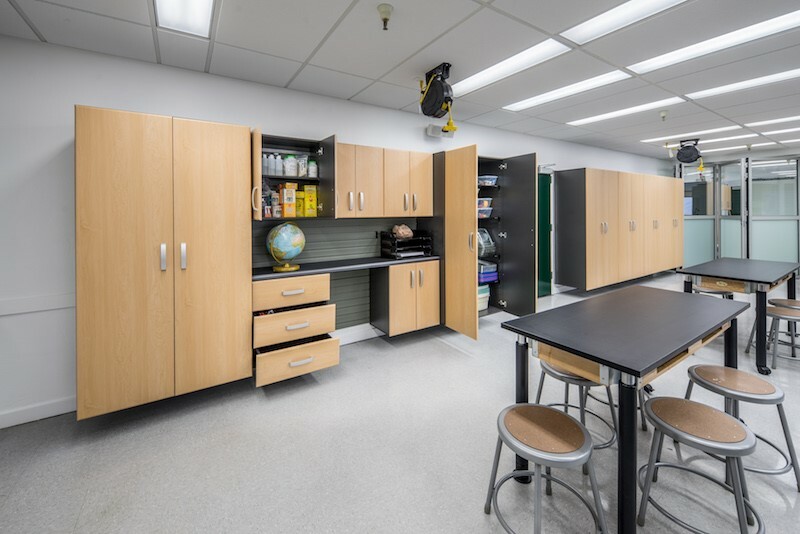 Lack of counter space prevented teachers from having additional workspace and poor classroom design left students crammed in a small space that was not conducive to an ideal learning environment. In fact, researchers at the Princeton University Neuroscience Institute found that clutter similar to that which plagued the San Francisco Day School classrooms can actually negatively affect a student’s ability to focus and process information. The study found that once this clutter was cleared, cleaned, and organize not only did the student’s attention rate improve, but classroom behavior improved as well. Thus, the administration at San Francisco Day School decided to confront this issue during a school-wide renovation. After discovering Flow Wall’s versatile, customizable systems, they knew immediately that they’d found a solution to the issue of chronic disorganization. Both teachers and students were amazed at the difference the Flow Wall system made. Not only was the clutter out of sight, but Flow Wall’s versatility brought optimal organization to the space because it provided a designated place for everything. It helps the space command reverence, giving a similar allusion to that of a museum. It makes the classroom inviting and welcoming. It resembles a symbol of respect – respect for learning, each other, and property. It makes teachers feel more confident, influential, and in control. It helps create a calm environment that cultivates learning and focusing. It gives the students something to be proud of. 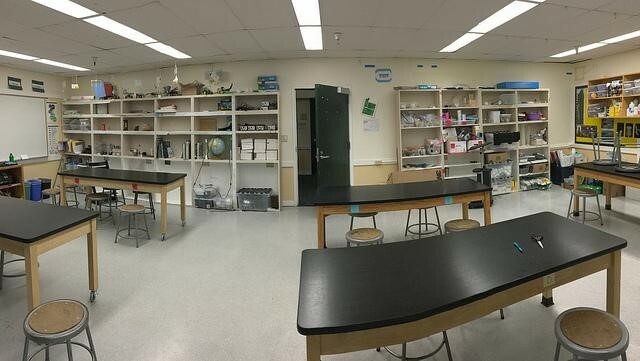 Thanks to the Flow Wall system, teachers, and students at San Francisco Day School are able to enjoy a clutter free environment and aids in both teaching and learning. 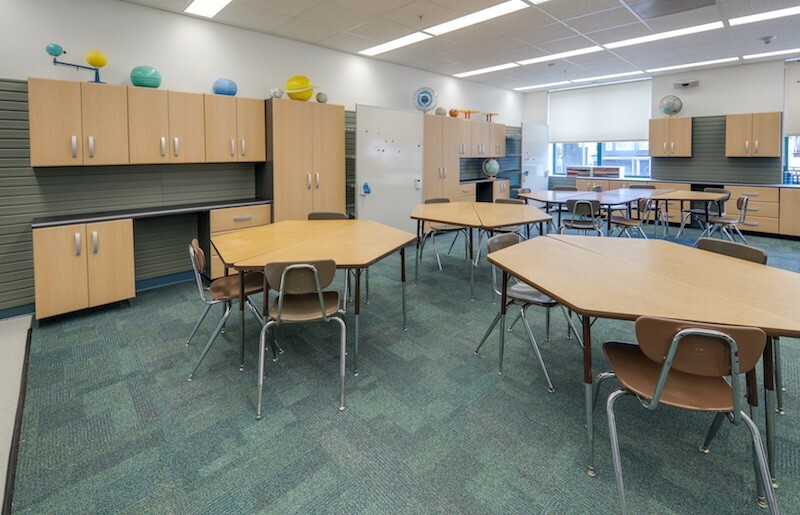 With priceless advantages, more Flow Wall systems are expected to make their way into classroom designs across the nation, bringing order and organization to the world of education.